A McGregor with the clover indicates it was intended for the Canadian market. a club with ADANAC stamped on it means export or made in Canada. It has been refinished because normally these would be painted black. I have a similar Speedslot set but mine have the Y **** pattern on the faceplate. What shaft and grip are on yours, assuming it is original? Mine came from the mid-late 60's though I think they made these until the early 70's. hah "s c r e w" is a forbidden word LOL. Good luck with that. Shaft is Apex 3, grip looks original.I will replace it with one of the spare Ben Hogan grips i have. 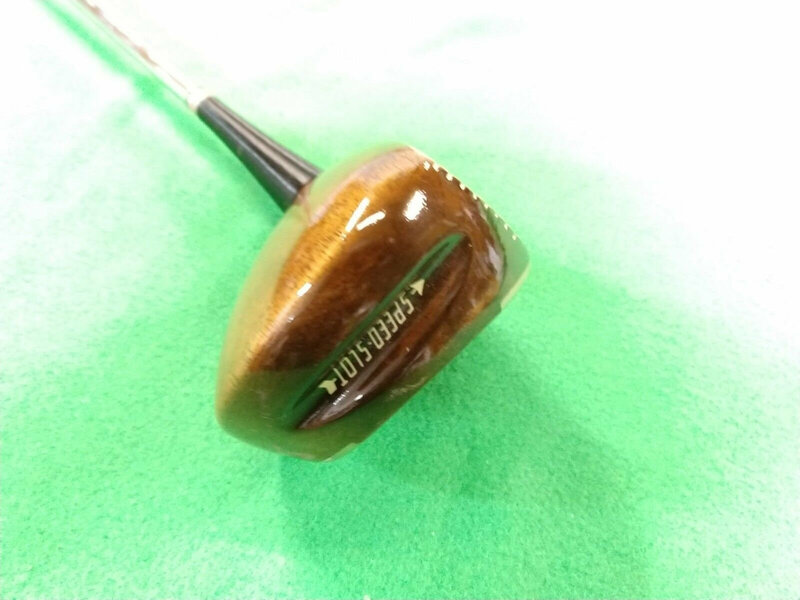 Do you have any idea how to identify the club via the serial number ? Apparently the only reason they painted some Hogan woods black was because of the poor quality grain. I have Hogan radials 1-7 wood painted black. If I recall my Hogan correctly, the letter is the production year. The next two numbers represent the model. The third number is the type of shaft, followed by stiffness, followed by swingweight (as a D). I believe the Apex debuted in 78. Hence F would get me to 1984. 73 is just the model (i.e. Apex). 0 was the code for the Apex shaft (hence 03 makes sense), and likely that comes in at a D1. To me, looks about right for that model, but look for confirmation as to when Hogan started making it, then count six (for F) from there. Not all Hogan woods were painted black. JoePete has this right, as the 1984 model is described in the catalog I have as being finished in a "rich oak." The one pictured above is how I remember them looking from that time. I'd say the finish on that one is original. The original Apex shaft was introduced in 1969. You can tell the older Apex shafts by the shaft label. 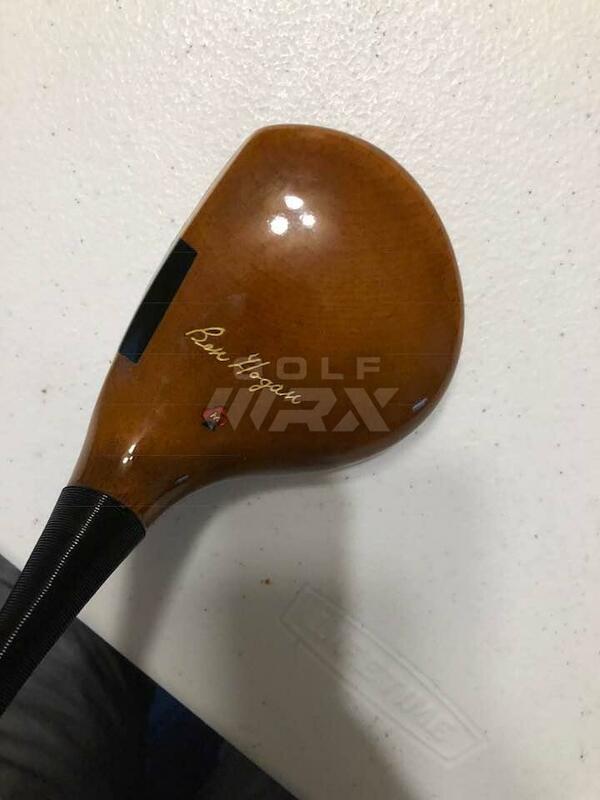 It says AMF Ben Hogan APEX and the flex number. The other factor that makes me think this is an original from 1984 is the color of the insert. It is a different shade of red than what Hogan used previously, and that's another change that I remember from back then. Truth is, the reason I remember it is I didn't particularly care for that color combination back then, and with apologies the picture above does nothing to change my mind. But to find such a club of that age and apparently unused is still a special event. I received the club yesterday. I went to my local course and played. I hit 4 drives, the first 3 were ugly low heel slices. I adjusted my alignment and the 4th drive was better than any drive I have hit with my TM jetspeed. I play off 16 , so obviously my driving is not great. A perfect drive goes about 250 yards. And that's how far this club went on the 4th attempt. One of the biggest problems with modern drivers is how upright are the lie angles. The only way to hit them consistently is to raise the handle through impact. No wonder modern pros are jumping through impact on their drives. Persimmons, especially the older ones, have a very complimentary lie angle with the rest of the clubs and you can swing those more around yourself. And they don't sound like hitting aluminum bats. The information on your club comes from the Kaplan Compilation of the MacGregor Catalogs, and other sources. Ben Hogan was signed by MacGregor in 1939, along with fellow Texans Jimmy Demaret and Byron Nelson. 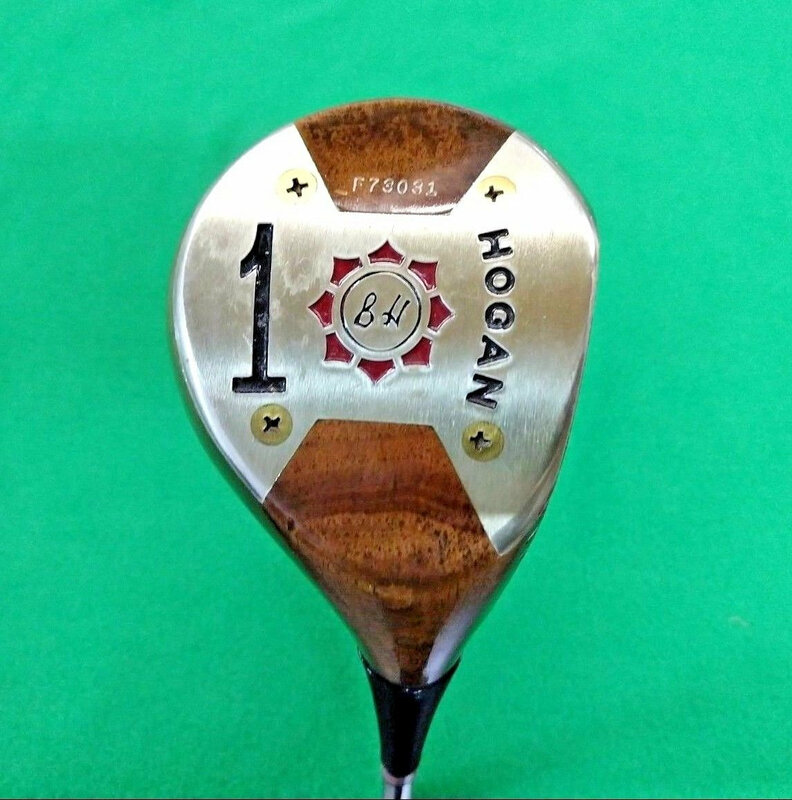 The "Clover" stamping was common on a number of MacGregor "signature" clubs offered in their General Line. That means the clubs were sold in other places besides golf courses. Got that? 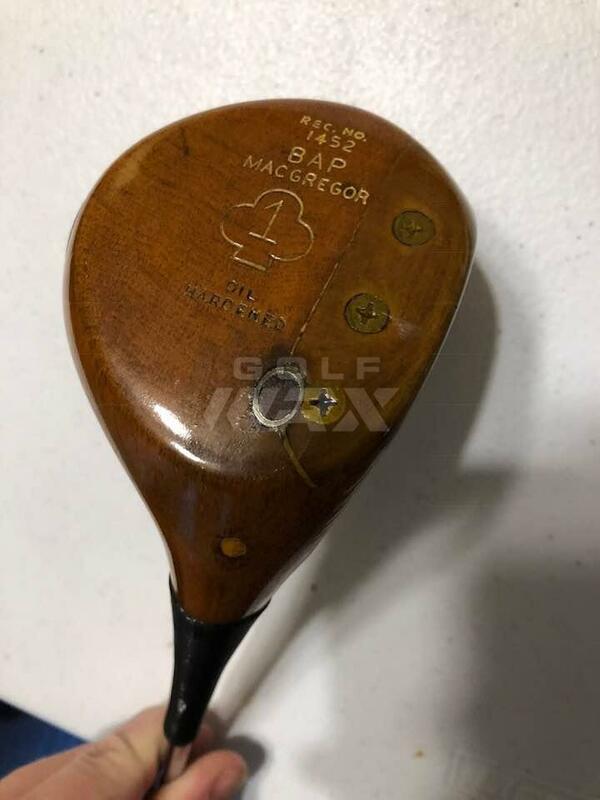 Ben Hogan, Byron Nelson, and Jimmy Demaret all had clubs with the MacGregor "Clover" logo. They all had a "TEXAN" line as well. Different soleplate. MacGregor Chief Club Designer Will Sime is responsible for the "BAP" design, as listed on page 2 of the 1936 MaGregor catalog. 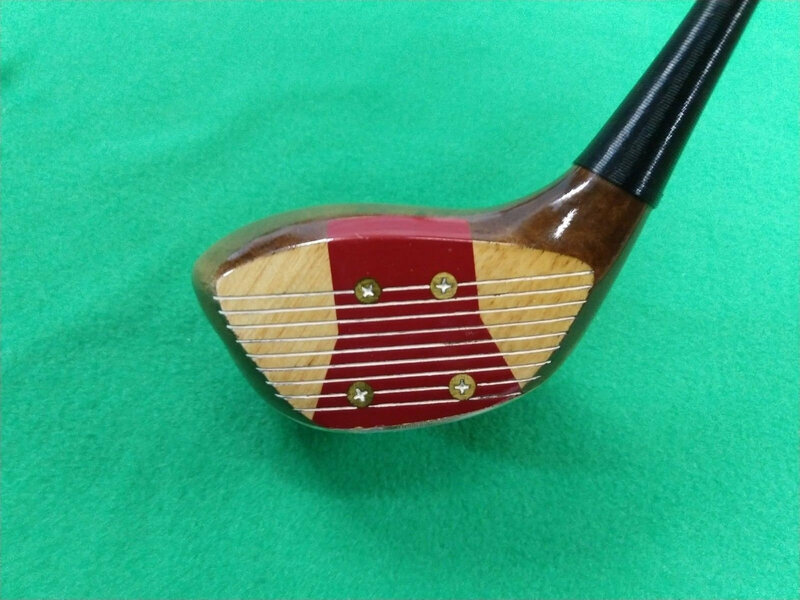 Your 1432 is likely part of the clubs offered in the Ben Hogan General Line. Yes, yours has been refinished and likely reshafted. NOTE- The "Rams Horn Soleplate" design of this MacGregor persimmon wood was used by Dave Wood in his Wood Bros designs. Dave Wood also wrote to me about the history of the "OIL HARDENED" process, and use of the "OIL HARDENED" stamp.